The beer year that was has been a popular topic the last few days. Media outlets and blogs get a kick out of cataloging each passing year. I suppose it's okay to pile on. 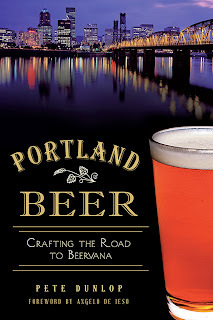 The highlight of my 2013 beer year was publication of Portland Beer, which appeared in September. 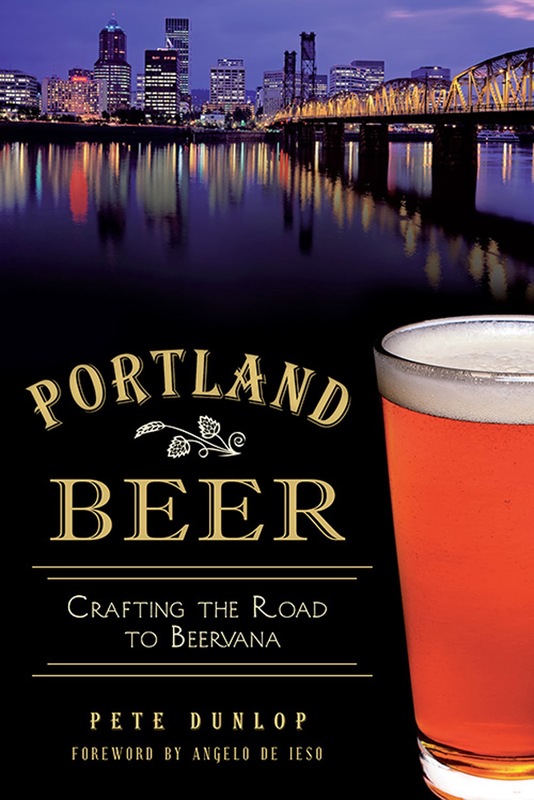 The book explores Portland's beer history and has done reasonably well. By that, I mean hundreds of copies sold...and not just in Portland. I suspect a thousand more copies will sell in the next year or so. My hope is they will also be read (see below). Having a book out there means I get a lot of interesting questions. Such as, "What's your favorite beer?" The honest answer is I don't have one for this or any year. My favorite beer depends on the time of year and my mood. Fred Eckhardt has said his favorite beer is often the one in front of him...or his next free one. I can relate to that. "Well, if you don't have a favorite beer, what's your favorite brewery?" they ask. Again, I have no set answer. There are so many great breweries within mere miles of my house that my favorite one often depends on my state of mind. Some places I like to visit while biking in the summer. Others I prefer to visit during the winter. Next question. Despite the continuing rash of new brewery openings across the country (the Brewers Association says 500 opened this year), things were relatively quiet in Portland. Breakside opened a production facility and taproom in Milwaukie and Ecliptic opened in Northeast Portland. There were expansion projects at The Commons and Migration. But it was generally a quiet year on the brewery front. What does that mean? After the dramatic expansion that occurred from 2009 to 2012 (40 percent of our current breweries opened during that time), it was logical that things would slow down. Have we reached a saturation point? I honestly think there's plenty of room for brewpubs that have small breweries and decent food in underserved areas. I think there is less room for production breweries because retail shelf space is limited and the competition for it will eventually get tight. We'll see. 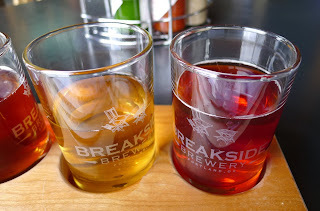 By the way, if I were handing out an award for Portland's best brewery of 2013, it would go to Breakside. Some of their beers I really don't like and I don't care that they produced 100 beers for the year. But I'm really impressed with the creative specialty beers they've developed to go with terrific standards (like IPA and Pils) you can buy in almost any grocery store for a pittance. I love many of our local breweries, but Breakside has impressed me more than anyone else this year. It's difficult to know how many taprooms and growler fill stations opened around town in 2013. 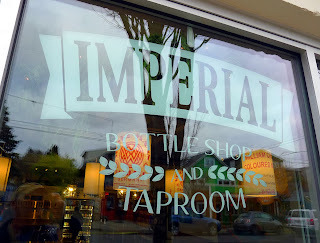 Two of my favorites are the Imperial Bottleshop and Taproom on Division and Tin Bucket on North Williams. These places feature great beer choices and staffs that love to talk about beer. Another thing they have in common is lousy parking situations. But never mind. While brewery growth may be slowing down, I suspect many more taprooms will be opening. Why? Because taprooms fit in almost perfectly with a beer culture that increasingly demands extensive choices and specialty beers. Breweries typically offer a short list of their own beers. Taprooms often offer 30 or more beers from numerous breweries. They fit well with the promiscuous, portfolio-driven craft beer crowd of the moment. It's no secret that social media has largely taken over for blogs as sources of beer information. A lot of people want snippets of information and aren't interested in reading lengthy blog posts or articles in media for more extensive information. Context and detail isn't worth much these days, it seems. Reading is becoming a lost art. If you want to know why, pull out your smartphone. Seriously. The fact is, attention spans have been in decline for many years; the advent and proliferation of the smartphone has blown them up. Why? Because the smartphone is a terrific platform for sharing brief snippets of information, but a lousy one for sharing detailed content. There's every reason to believe the smartphone and tablet computer are helping drive the impending collapse of media as we have known it for 100 years. Newspapers are firing or downsizing reporters, not hiring them. TV and radio stations are doing the same thing. Investigative reporting? What's that? Content is increasingly light, fluffy and tailored to the minimal attention span. There's a substantial risk in that approach, which I'll leave alone for now. 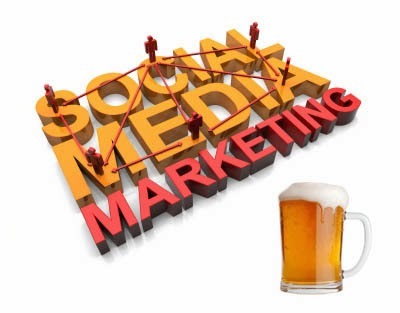 This social media trend will likely accelerate in 2014. More and more folks are going to be getting their guidance from Twitter, Facebook, etc. Nonetheless, I do believe there's a place for informed, relevant blog content. As the mainstream media falls apart, blogs will take up some of the slack. I'm not talking about blogs that are nothing more than industry shills..and there are lots of them. I'm talking about objective blogs with original content. The indicators of volume and dollar growth suggest the craft beer industry is in pretty good shape and will be for the foreseeable future. Consumer tastes may eventually undergo some kind of massive shift away from beer, but that seems unlikely for now. Nonetheless, there are risks. Price escalation and gentrification are an emerging problem. As discussed the other day, the growing number of specialty beers sold at exorbitant prices is unprecedented. A few years ago, such beers were rare. Now they're everywhere. There are now lots of spendy beer events and clubs. This trend is largely driven by consumer demand, but it will have a limit. What that limit is no one knows. Yet. There are also demographic concerns (graphic). Craft beer consumption is strongest in the 26-49 demographic. On either side of that age group, it drops. The 65+ age group is quite weak...not really an issue. But a 5 percent share for the 21-25 age group? Yikes! I doubt that number is accurate in Oregon, but still. I suspect these folks are still figuring out their tastes. Gender (heavy for males) and ethnic (heavy for white) carry additional risks and make you wonder where this is headed. Time will tell. Well, 2013 is history. Time to move on. Happy New Year! Hi, I could be wrong, but I think those age demographic stats may be wrong. It came from a British journal, so I don't know if this is the difference, but as early as late last year, it was the 25-34 year olds who consumed the most craft beer of any other age group. While it would be absolutely conceivable that the age demographics have shifted (particularly as prices have increased! ), I also noticed the bar graph does not correspond to the data, which is a bit fishy. Thanks! ~T. The bar graph clearly doesn't support the numbers. Regardless, the greatest consumption group is 25 to 49. It falls off on both sides of that. But it's the 21-25 age group that's shocking, assuming the number is close to correct. I could believe it. There are two factors that are working: 1) a lot of people in this age range have not had a chance to develop more sophisticated tastes (I was drinking white Russians and Tequila Sunrises...yuck! ), and 2) young people are often working menial jobs or are just starting their careers, so they don't have enough money to support a craft beer habit (especially as it gets more and more wino-expensive). "When looking at age, Mintel research shows that craft beer’s sweet spot is with 25-34 year old consumers. While overall, some 36% of US consumers drink craft beer, half (50%) of older Millennials (25-34 year olds) do so. And craft beer also wins on taste. Some 43% of both Millennials and Generation X say that craft beer tastes better than domestic beer, compared to 32% of Baby Boomers." I don't dispute that...I'm sure it's correct. But the number for the 21-25 age group is the issue. Can it really be 5 percent? If it is, it must be because these folks are still figuring out their tastes. There was almost no craft beer when I was 21-25. Everyone drank macro snot and argued about which one was better. There are a lot of choices today...beer, wine, cider, spirits. I suspect it takes some time for the youngest legal drinkers to figure out where their tastes are.